Situated in Johor Bahru, this hotel is 1.1 mi (1.8 km) from Istana Bukit Serene and within 6 mi (10 km) of Tan Sri Hassan Yunus Stadium and Sultan Abu Bakar State Mosque. Johor Bahru City Square and Legoland Malaysia are also within 9 mi (15 km). Along with a 24-hour front desk, this smoke-free hotel has a computer station and tour/ticket assistance. Free WiFi in public areas and free self parking are also provided. Additionally, a convenience store, a front-desk safe, and ATM/banking services are onsite. All 206 rooms offer free WiFi, rainfall showerheads, and flat-screen TVs with satellite channels. Free bottled water, ceiling fans, and hair dryers are among the other amenities that guests will find. 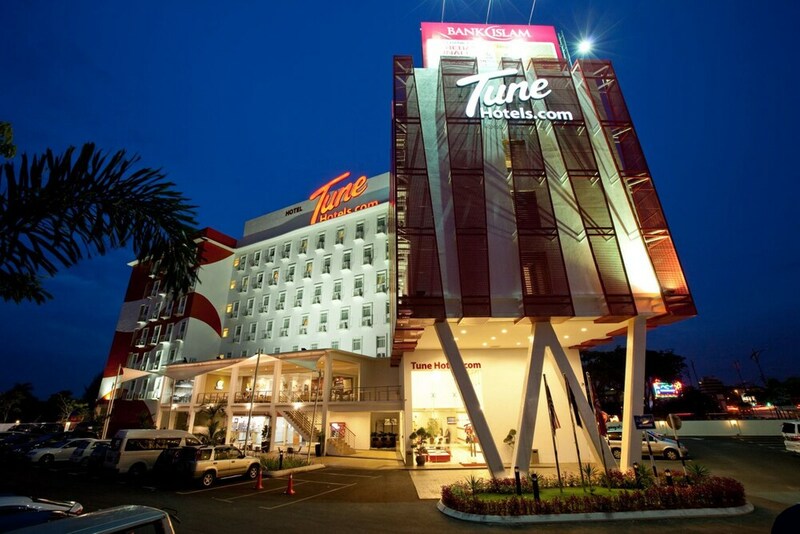 Tune Hotel - Danga Bay, Johor features tour/ticket assistance, a grocery/convenience store, and a safe deposit box at the front desk. A computer station is located on site and wireless Internet access is complimentary. This business-friendly hotel also offers ATM/banking services and an elevator (lift). Limited complimentary onsite parking is available on a first-come, first-served basis. Tune Hotel - Danga Bay, Johor is a smoke-free property.